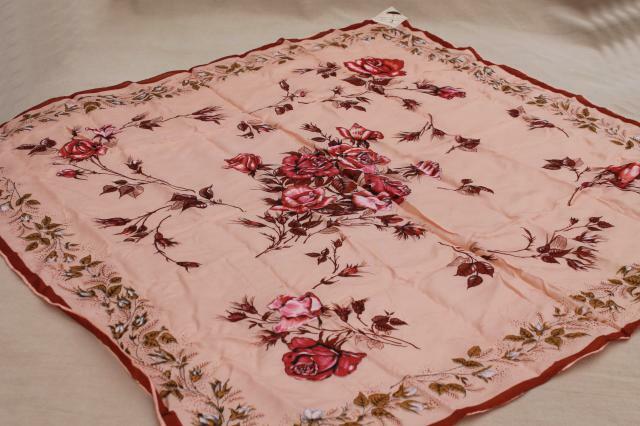 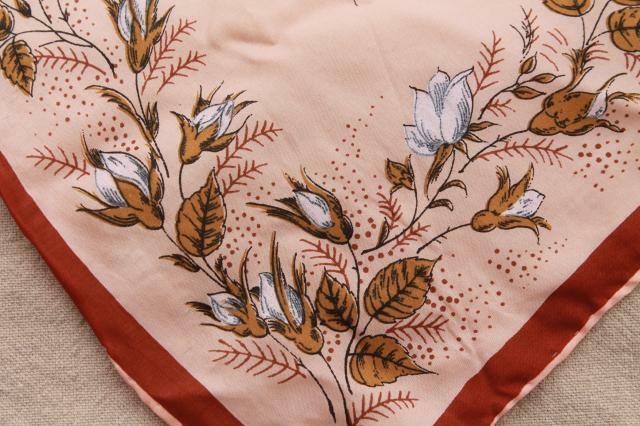 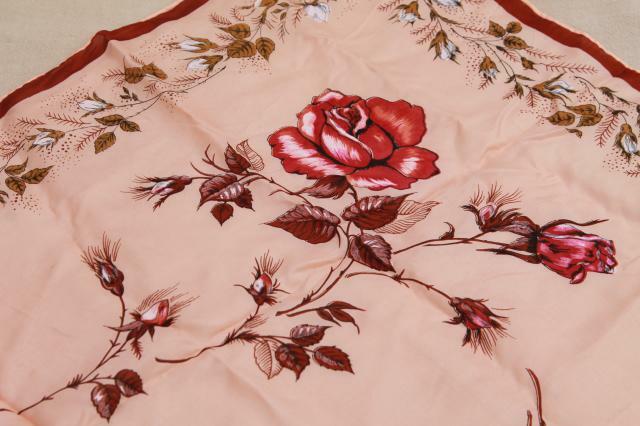 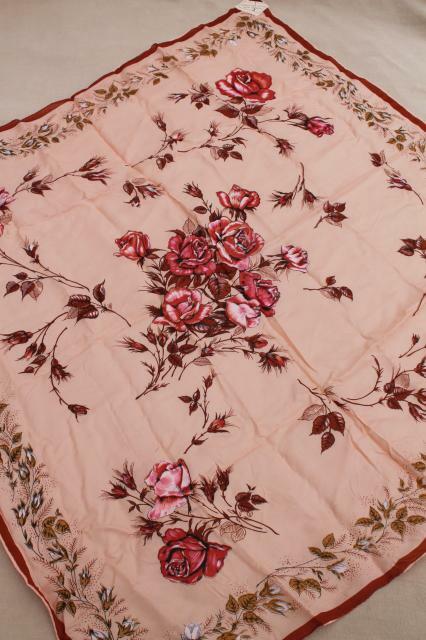 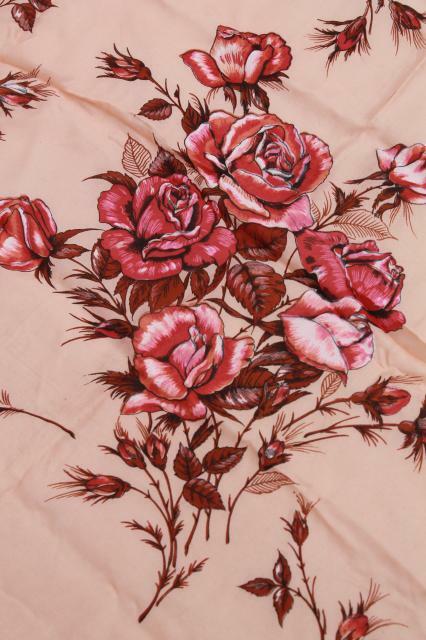 Lovely 60s 70s vintage silky scarf with roses on blush pink. 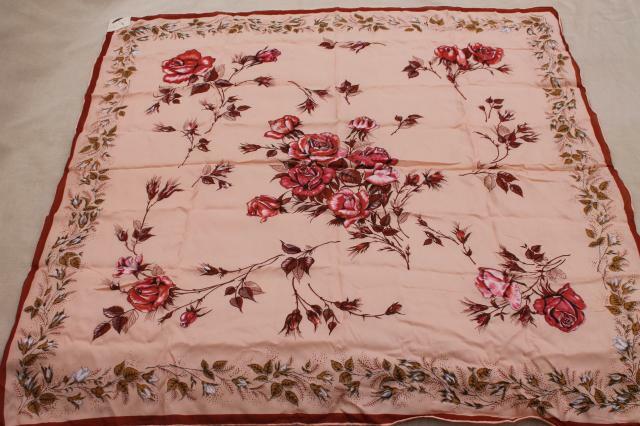 This is a 30" x 30" square, headscarf size. 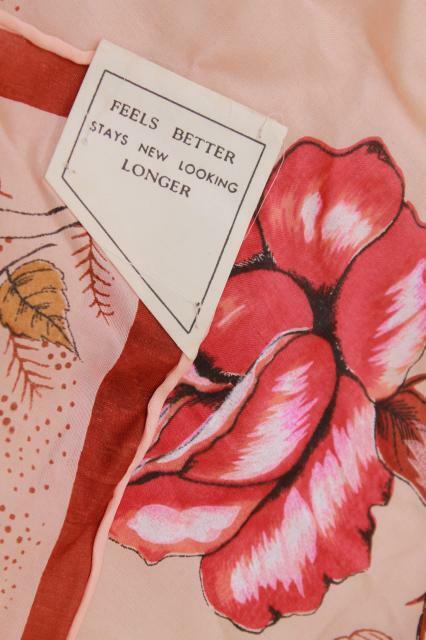 Very chic for bad hair days! 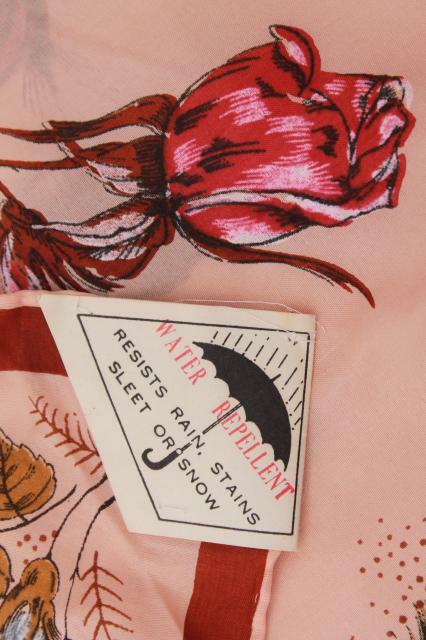 This has no fiber content label, but we believe it's silk, or a very nice imitation silk fabric. 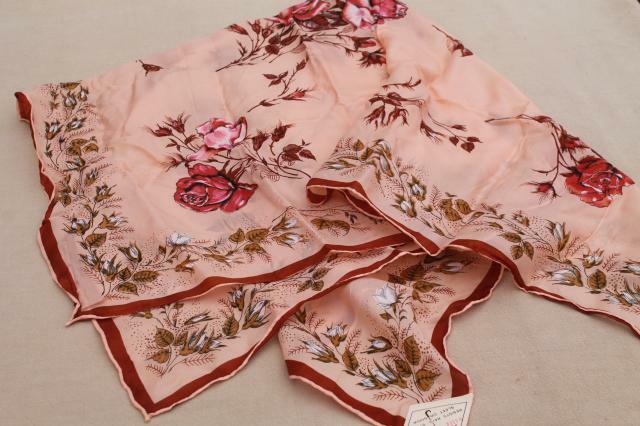 It's in very good condition, clean and never used - though it does need pressing as you can see from our photos.